The basic of any form of spiritual practice is getting the three things right – Yantra, Mantra, and Tantra. Together, they’re said to offer expansion and liberation of the consciousness to the devotees. While the former two have been explained in a very clear manner by spiritual experts and sacred texts, the last one has slight ambiguity concerning it. Tantra Vidhya is a meditating or devotee worshiping technique that connects one’s consciousness with that of the supreme one. The purpose of practicing Tantra is to have an audience with the deities and to have our wishes fulfilled. Though the devotees can worship any deity that they feel connected to, Tantra Vidhya is mainly associated with Adi Parashakti – the female goddess considered as the personification of ‘Shakti’ or Power and Lord Shiva – the senior god regarded as the destroyer of the universe. Popularly known as the Dasha Mahavidyas, they are a group of ten aspects of Adi Parashakti in Hindu dharma. Whether it’s a regular puja, or so-called Black Magic ceremony, these two, or one of their avatars, are the prime deities that are focused upon and worshiped. Depending on the purpose of the devotee, the deity and the tantra are chosen and worshiped. Tantra means the process. In any kind of religious ceremony, there is a set of stepwise procedure that the devotee needs to carry out if he wishes it to be fruitful. That is what Tantra is all about. As per this explanation, any religious ceremony, regardless of its purpose, can be termed as Tantra.T antra is also described to be rather a set of rules and regulations meant to guide a devotee through a religious process. It exists in the form of text, and its sources are the various religious and sacred books. Tantra is crucial, as, without it, no ritual can be followed properly. The confusion in coining the term ‘Tantra’ exists because of the difference in the ways it has been described over the past hundreds and thousands of years, its diverse streams – their implications and associations. Which brings me to its fusion with the word ‘Vidhya’! Tantra Vidhya, though it sounds fairly simple, takes the obscurity of the term ‘Tantra’ to a whole new level. In general, Tantra Vidhya is the knowledge of the Tantras, i.e. the knowledge of the rules and regulations, and the processes that the devotees need to carry out, in terms of worshipping a deity. Without Tantra Vidhya, it’s impossible to conduct any religious ceremony. Thus, the person who is said to have immense Tantrik Vidhya is called Tantrik. He is the one who’s the expert at practicing Tantra Vidhya, and the one who guides the devotees. Now, this is where the ambiguity begins . . . Considering the above definitions, Tantrik and Priest should mean the same thing, so should Tantra Vidhya and knowledge possessed by the priest, but they don’t. In today’s world, in general, the terms ‘Tantra Vidhya’ and ‘Tantrik’ is widely associated with Black Magic. The former one is even synonymously linked. And this association has caused people to develop a negative attitude towards them. Black Magic, again, is nothing but a form of devotee worshiping technique practiced by a few people. There are certain traits of Black Magic that make it quite different from regular deity worshiping techniques. For instance, in the regular process, the items offered to the deity are usually vegetarian and non-alcoholic. On the other hand, the items offered to the deity in Black Magic is non-vegetarian and alcoholic. But that’s just the tip of the iceberg, as the main reason why people despise Black Magic, and are even afraid of this art is because it deals with evil spirits, the destructive side of the deities, and altogether the dark side of the supernatural, and probably, that’s why it’s called ‘Black Magic’ in the first place. The Tantriks practicing Black Magic is said to have special abilities that can cause people both benefit and harm. So, devotees conducting the ceremonies with the Tantriks could be praying either for their own fortune or for someone else’s destruction. Now that’s pretty twisted and insane, and that’s why the majority of people regard it negatively. The art remains in the shadows, and so does its practitioners. 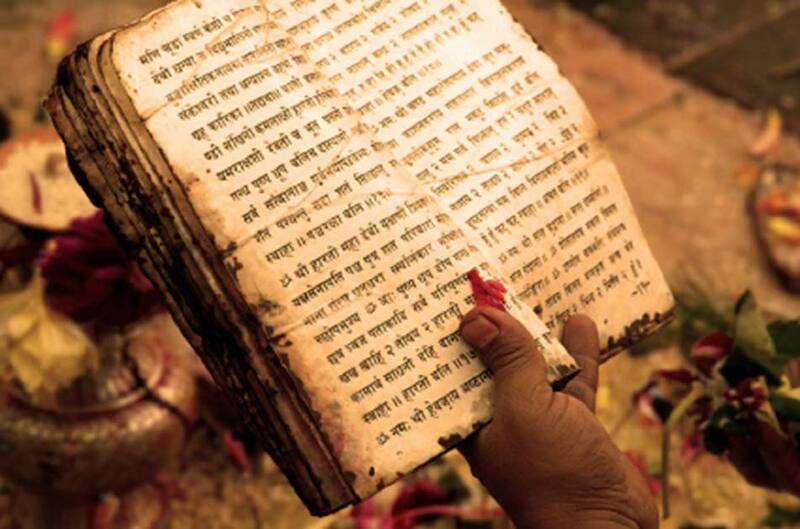 To sum up, what every devotee needs to understand is that our sacred religious books are the sources of all kinds of information related to the deities, which also includes the Tantra Vidhya. To get what they wish, it is crucial for them to get the tantra right. It goes without saying that if the process is wrong, you can’t have the desired result. Also, it’s natural for people to wish for others’ misfortune, esp. the ones they despise. But as long as your faith is in the right place, and there’s goodness in you, no curse, magic or bad wish can touch you. There’s nothing wrong with Tantra Vidhya, it’s just the people practicing it, esp. the ones whose purpose is to harm others.